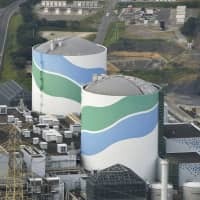 The future of nuclear power policy is a major issue in the Tokyo gubernatorial election, and voters in the capital, which consumes 10 percent of all electricity generated in Japan, are keeping it ranked high despite doubts the capital can have an official say. The governor has no official power to alter national energy policy, but experts say the position allows the capital to take the initiative on energy issues in a way that can impact national policy. Since the race for the Feb. 9 election kicked off on Jan. 23, the major candidates have underscored their stances on the issue. 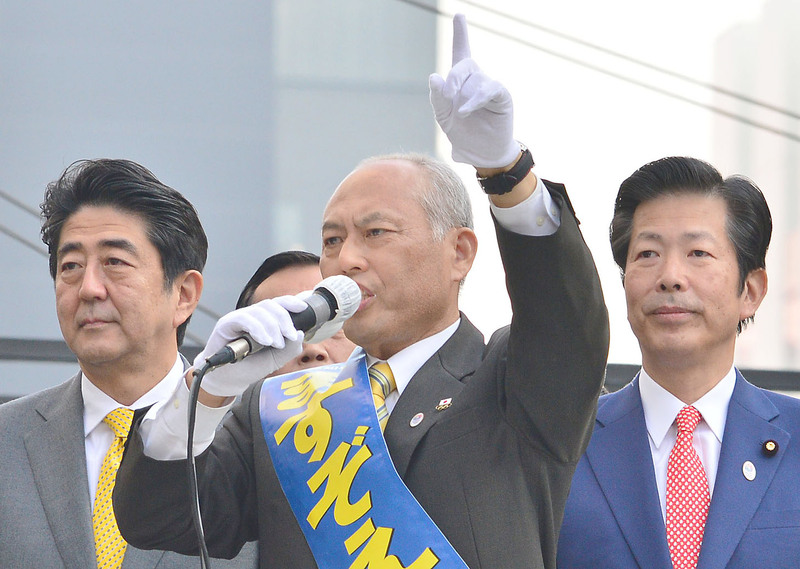 Former health minister Yoichi Masuzoe, who remains the front-runner, according to media surveys, said he wants to “create a society that is not dependent on nuclear power generation” and promote the use of more renewable energy sources, including solar and wind. 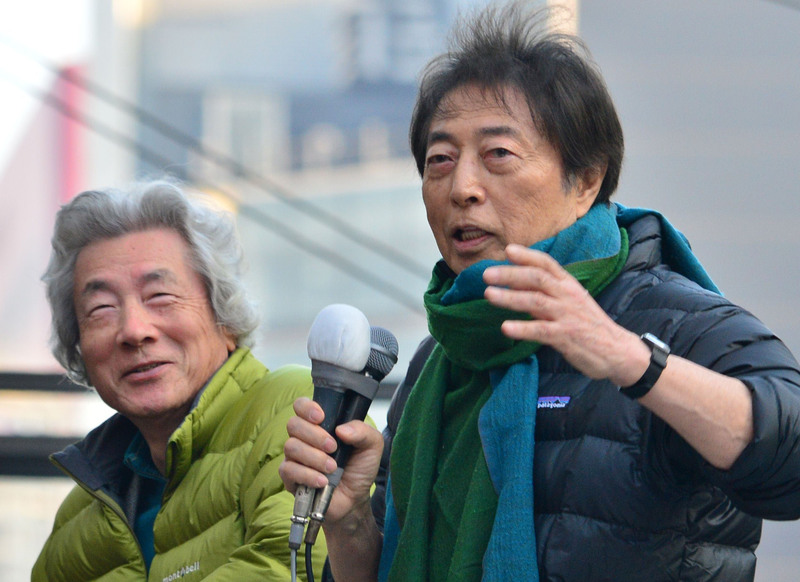 His rival, former Prime Minister Morihiro Hosokawa, backed by fellow ex-Prime Minister and anti-nuclear advocate Junichiro Koizumi, said he would end Tokyo’s dependence on atomic power if elected and set up a panel of experts to explore the capital’s energy policies and options. Kenji Utsunomiya, a lawyer and former chairman of the Japan Federation of Bar Associations, said he would push for a nuclear-free capital and launch a committee to draw up an effective energy policy to abolish nuclear power. Recent media surveys showed the public has keen interest in Japan’s future with atomic energy. 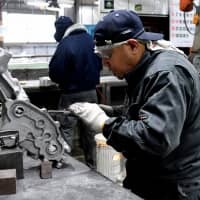 In a Kyodo News telephone survey over the weekend of 1,540 randomly dialed households that drew 1,040 responses, 30.6 percent said the economy and employment are the most important issues in the race, followed by 27.3 percent focused on the aging population, low birthrate and welfare. Nuclear power and energy in general came in third at 14.7 percent, down nearly 4 points from the previous poll. Other media surveys showed a similar trend, with respondents ranking the nuclear issue third in importance. Meanwhile, a Nihon Keizai Shimbun telephone survey between Jan. 30 and Feb. 2 said that 53 percent of the 539 respondents oppose the restart of idled nuclear reactors, 29 percent support restarts, 50 percent want atomic energy phased out, and 11 percent said it should be abolished immediately. The election comes as the administration of Prime Minister Shinzo Abe is pushing to gradually restart the nation’s idled 48 reactors. Pundits say that, especially since the nuclear crisis erupted at the Fukushima No. 1 power plant in March 2011, it is natural for the general public to be focused on the issue. “Tokyo is a large consumer of electricity, so it’s important to engage in dialogue on (the future of nuclear energy),” said Daito Bunka University law professor Hiroshi Toki, who studies metropolitan government affairs. 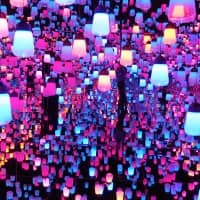 “In particular, Tokyo is the biggest local government in Japan and the influence it could wield on other municipalities is huge, so it’s meaningful for the capital to take the initiative on the discussion,” Toki said. Meiji Gakuin University professor Tomoya Kaji, who specializes in public administration, said although there are other issues closer to the lives of the people than nuclear energy policy, the public’s interest in the issue might have critical implications for the government’s current policy. 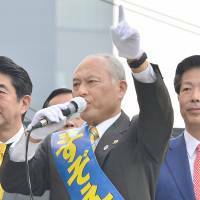 Echoing Toki, Kaji said voters are interested in the issue because they are more concerned about the future of nuclear energy in light of the Fukushima meltdowns, which robbed nearly 140,000 residents of their homes, property and jobs. The experts said that while the Tokyo governor has no official power to set national energy policy, the holder of that office can effect change by proposing original policies that draw on Tokyo’s administrative and fiscal girth. “The budget of the metropolitan government (eclipses the rest). And Tokyo is the only prefecture that is not granted the government tax allocation,” Kaji said. The fiscal 2013 budget of the metro government, which employs about 167,000 people, was ¥12.08 trillion. 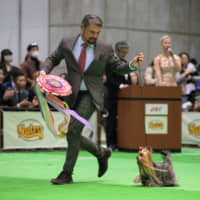 And the fact that the metro government is the fourth-largest shareholder in Tokyo Electric Power Co., gives the capital some clout against the utility, Toki said. As of Sept. 30, the metro government had a 1.20 percent stake in beleaguered Tepco. 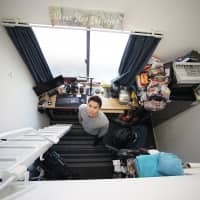 Kaji said it’s worthwhile that big metropolises like Tokyo sometimes take the lead in working out new policies on certain matters when the central government drags its feet. 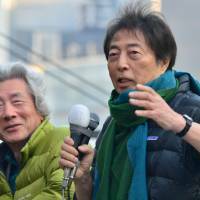 “There were many examples in the past in which the central government was caught up in policies adopted by municipalities on issues ranging from pollution to child care,” Kaji said. Toki of Daito Bunka University agreed, siting how the metropolitan government influenced national policies. “For example, the metropolitan government led by Gov. Ryokichi Minobe (1967-1979) developed policies such as free medical care for the elderly and pollution controls, affecting other municipalities and the nation, which introduced similar laws as a result,” he said. Meiji Gakuin’s Kaji said the capital has the potential to develop its own energy policy further. “There are an increasing number of things that can be done at the local government level, including energy trading. Energy is a growth area and the metro government can nurture it” by promoting policies, he said.